This report examines how countries perform in their ability to prevent, manage and treat cardiovascular disease (CVD) and diabetes. The last 50 years have witnessed remarkable improvements in CVD outcomes. 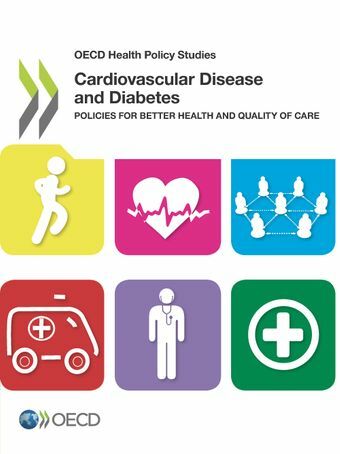 Since 1960, overall CVD mortality rates have fallen by over 60%, but these improvements are not evenly spread across OECD countries, and the rising prevalence of diabetes and obesity are threatening to offset gains.This report examines how OECD countries deliver the programmes and services related to CVD and diabetes. It considers how countries have used available health care resources to reduce the overall burden of CVD and diabetes, and it focuses on the variation in OECD health systems’ ability to convert health care inputs (such as expenditure) into health gains.